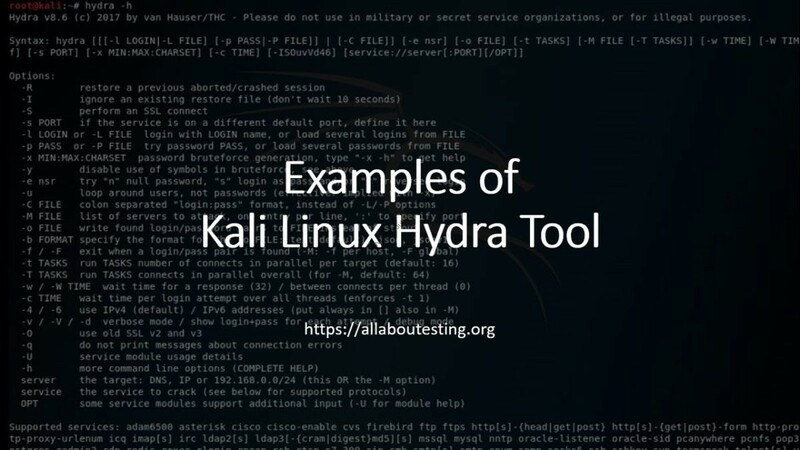 Hydra is a pre-installed tool in Kali Linux used to brute-force username and password to different services such as ftp, ssh, telnet, MS-SQL etc. Brute-force is a technique to try different username and password against a target to identify correct credentials. Below is the list of all protocols supported by hydra. 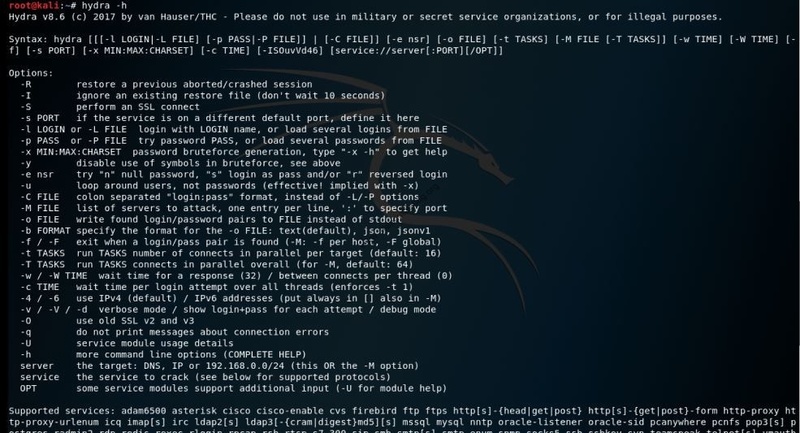 Create a username and password list to enumerate a target by using hydra automation tool. You can access wordlist in a directory by using below command. Implementing account lockout, captcha implementation, complex password, two-factor authentication, hardware-based token authentication etc. are some of the techniques of avoiding brute-force attack on the target.